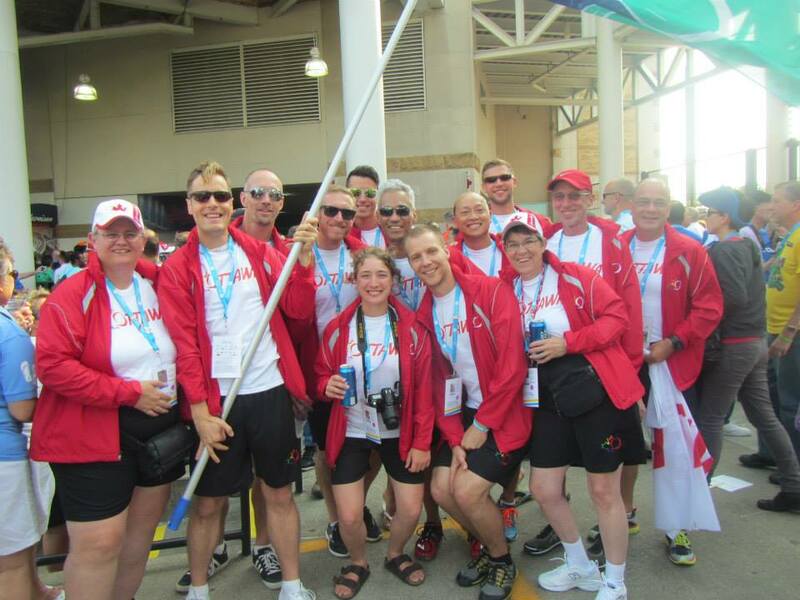 Toby and I spent the last week in Cleveland Ohio for the 9th Gay Games. It was a spectacular event! Toby’s volleyball team, Juicy fruits, received the bronze medal in the B division. We had a great week with the wonderful people on team Ottawa. I can’t wait for the next one in France! We were pretty excited to be home and see all our animals! The goats had grown fluffy coats and were half again as big as when we left. Frisket also seemed to have grown a bunch and maybe its just me but there seemed to be a new air of maturity about him. It had rained most of the time we were gone so everything was pretty saturated. This made me wonder what kinds of mushrooms might be popping up around the property. 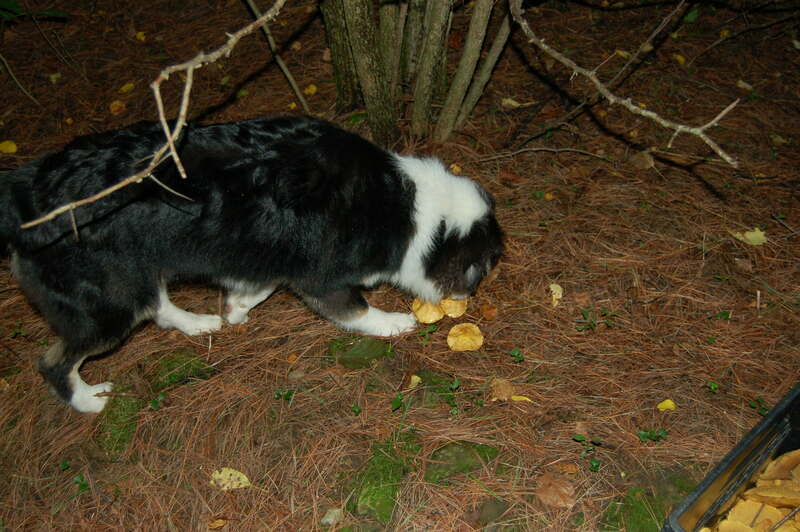 We went for a walk to check things out and Toby discovered that our stand of pine trees is home to all sorts of mushrooms. 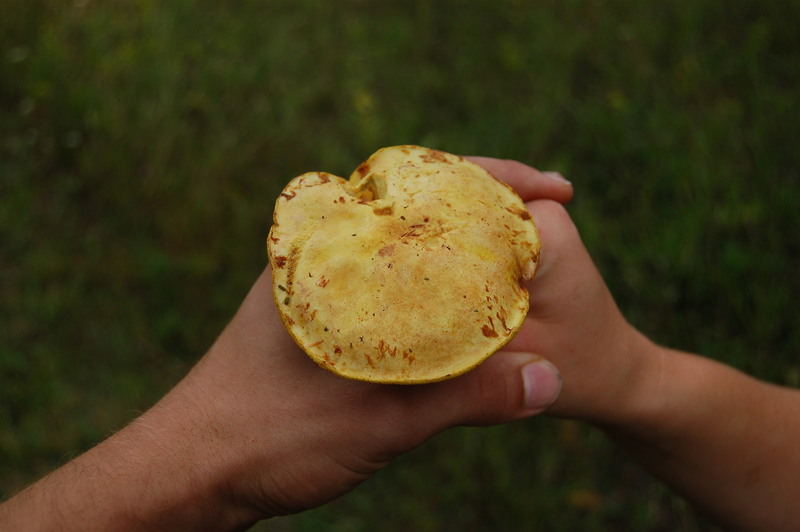 He brought one over for me to check out and I was thrilled to recognize a bolete mushroom. 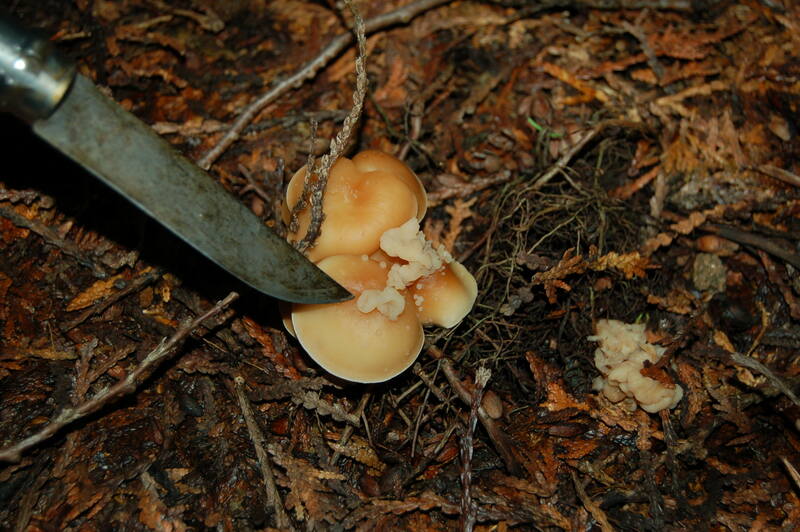 Pine groves are known for being home to these mushrooms because of the acidic soil. I could hardly contain my excitement when he told me there were many more where he found that one. 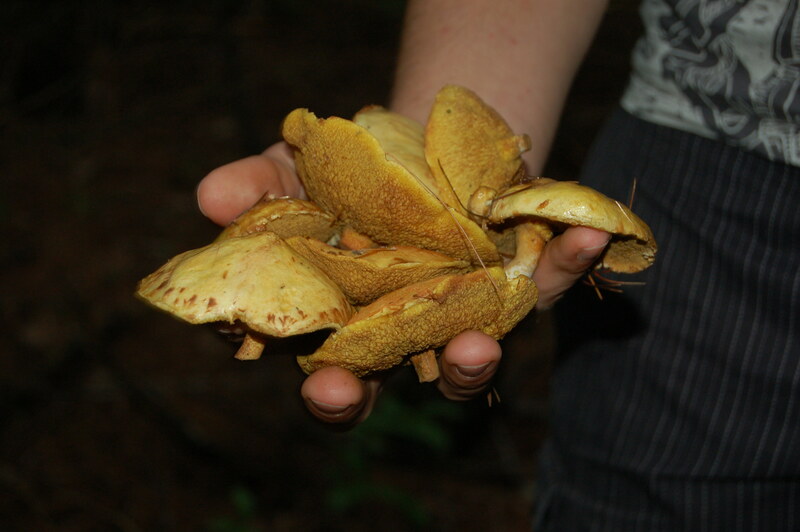 We went back to the house to get the necessary gear for mushroom hunting: a carrying basket each, a sharp knife each and our camera to capture our first hunt together. 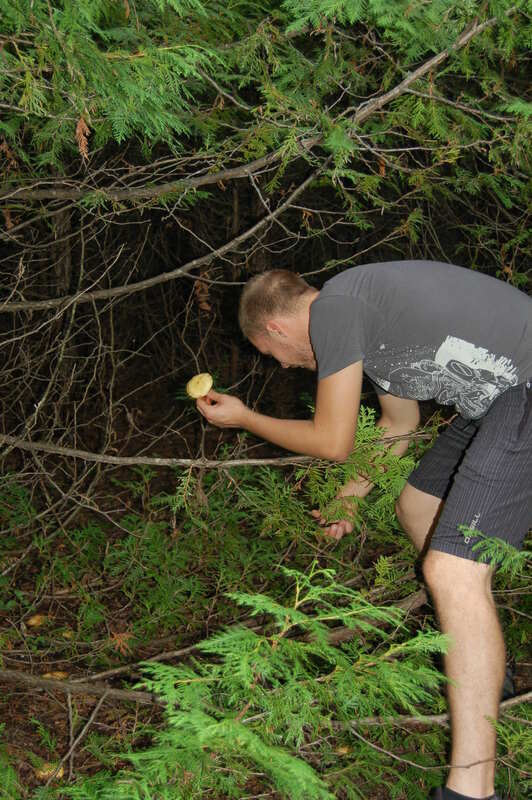 We spent about 45 minutes wandering through the trees gathering an outrageous amount of mushrooms. 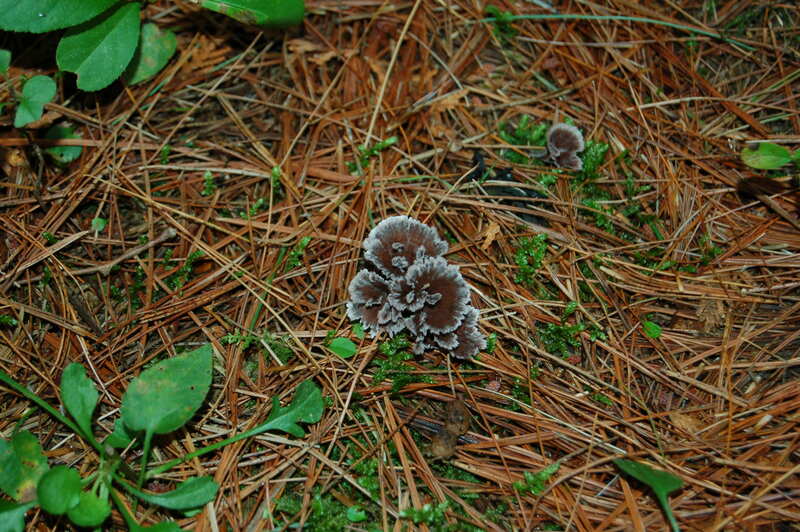 We also took pictures of all the other types of mushrooms we happened upon. 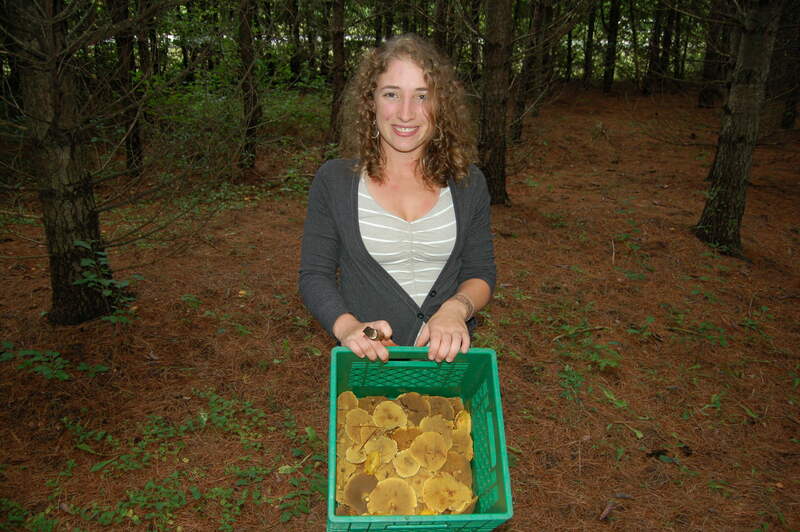 Once we felt we had enough and just as it started to rain we headed inside to prepare them for drying. 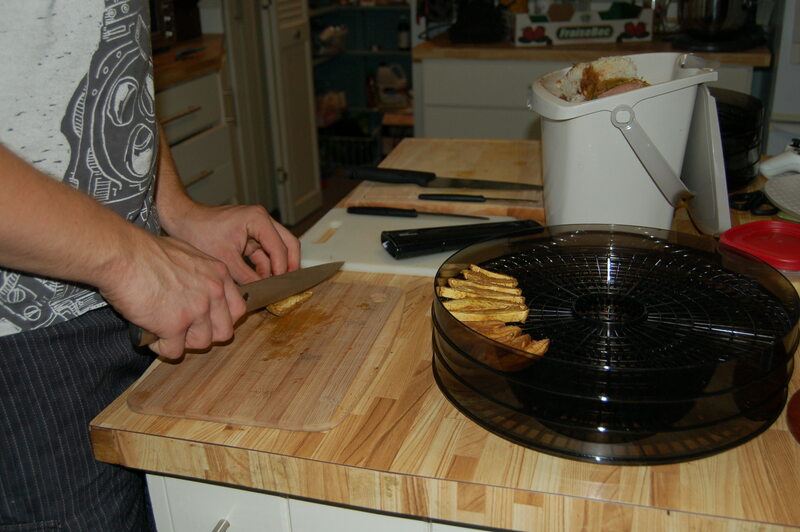 First we removed any pine needles or other debris from the slightly slimy tops of the mushrooms then we sliced them into 1/4 inch slices and loaded up the layers of our dehydrator. 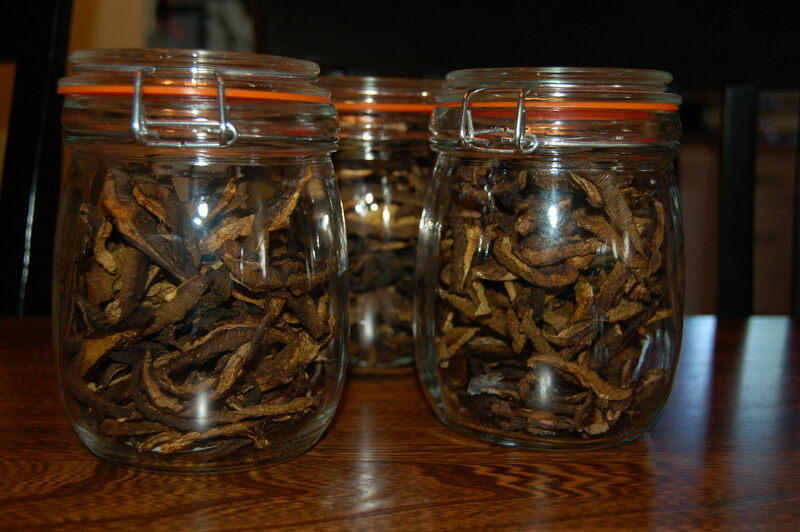 We left them to dry 12 hours before rotating the trays and then left them for another 12 before storing them in jars. We ended up with three full jars! 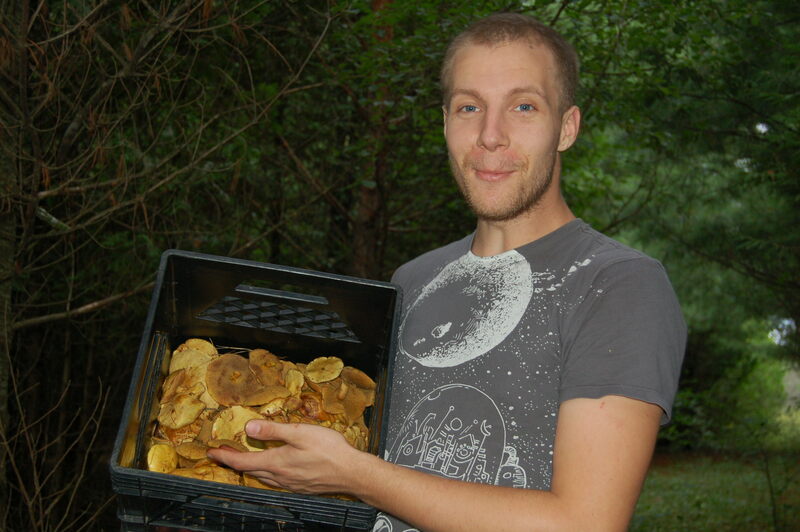 Not bad at all for our first haul, also the absolute max for our current dehydrator! !